Just a matter of days after finishing the Monaco ePrix in sixth place, Felix Rosenqvist will be back in Formula E action this weekend as the all-electric championship reaches its halfway point at the Circuit des Invalides in downtown Paris. The French capital is set to stage the sixth race out of 12 on the 2016-17 calendar, and marks the final single-race event of the campaign before a trio of double-headers in Berlin, New York and Montreal. Rosenqvist sits seventh in the standings heading into Paris, and while last Saturday’s Monaco round means a hectic turnaround, it’s nothing new to the Mahindra Racing Swede – who has been racing practically flat out in all corners of the world over the last 18 months. 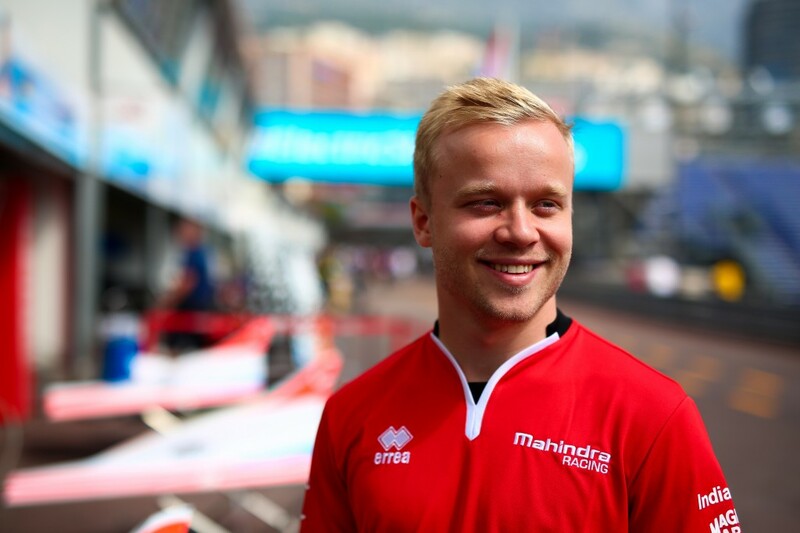 With the Paris ePrix having made its Formula E debut last season, however, Rosenqvist concedes that the tight agenda might still leave him at a potential handicap this weekend, as it limits preparation time at a track where most of his rivals have already raced. “The back-to-back weekends inevitably mean that Paris will be a little bit compromised,” Rosenqvist concludes. “Normally we have a couple of weeks to analyse the data from the previous race and take those learnings into the next ePrix, but with only a couple of days between races you can only do so much. Last year’s Paris ePrix was one of the coldest Formula E races run to date, and weather forecasts for the 2017 edition – which takes place on Saturday – predict a significant likelihood of rain. Three seasons into its existence, Formula E is still to stage a wet race. 1: Sébastien Buemi (SUI), 104 p.
2: Lucas di Grassi (BRA), 89 p.
3: Nicolas Prost (FRA), 47 p.
5: Sam Bird (GBR), 34 p.
7: Felix Rosenqvist (SWE), 28 p.